With luck, this edition of Bottles and Extras should be appearing in your mailboxes around Thanksgiving, which means that Christmas is only a month or so away. So now might be a very good time to start dropping hints to Santa about what you’d like to find under the tree on the 25th. Shot glasses, yes, preferably a nice label-under glass or delicately-pasteled enamel shot, but how about shot-glass accessories? 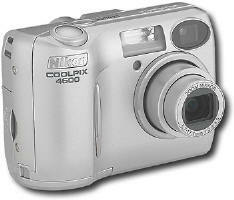 Maybe a shiny new digital camera to take pictures of your collection? 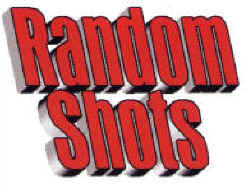 Creating photographic records of shot glasses is one of the more difficult and frustrating aspects of the hobby. Many who try are so traumatized by their first attempt that they give up. It’s very different from taking snapshots of family or scenery – there’s issues of reflection and contrast and blurring to deal with. While sympathetic to such misgivings, I’d like to try and convince you that producing great photos of your glasses is actually relatively simple provided that you take note of a few simple guidelines and that you’re willing to spend 20 minutes or so experimenting with light and camera angle. The payoff will be that you’ll create images that make your glasses look so irresistible that they’ll foment bidding wars when you list them on eBay. Plus, you’ll be able to show off an e-collection to family, friends, and fellow collectors by having the glasses showcased in a mini-web within www.pre-pro.com! There’s a common misconception that the quality of a photographic image is directly related to cost of the equipment used to create it. This is a source of great frustration to all those amateur photographers who see themselves as the next Ansel Adams, something that I can relate to personally. During my early days of pre-pro glass collecting, I was also a keen photographer and would spend many long hours traipsing around the countryside looking for that perfect combination of subject and light that would yield an award-winning photograph. Invariably, people’s reaction to seeing the matted and framed result would be “wow, you must own really great equipment”, not realizing that while fine optics can give professionals an edge over the point-and-snap-shooters, good photography is 90% technique and only 10% equipment [note the disclaimer in Figure 3]. After hearing me claim that ”equipment doesn’t matter” when it comes to photography, one of my collecting friends asked if a cheap disposable camera could be used to catalog a collection. Disposables are ubiquitous and cheap, so it’s a reasonable question. My instincts told me that it should be feasible, but before committing myself to paper here, I decided that a little research might be prudent. I purchased a generic drug-store camera for $4.50 and gave it my best shot: the result is shown above. Figure 3b below shows the same grouping recorded using a digital camera so that you can see that the subject does actually comprise a triplet of pre-pro’s. While the disposable managed to capture an image of three glasses, it’s worthless as a photographic record. The problem is that disposable cameras are wide-angle by design. 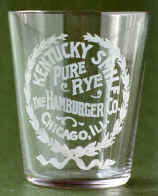 They're unable to zoom in on small objects such as a shot glass to record the fine details of the etching. The only alternative is to zoom in on the image of the glass on the negative or print, but this just enlarges the grain, as you see here.